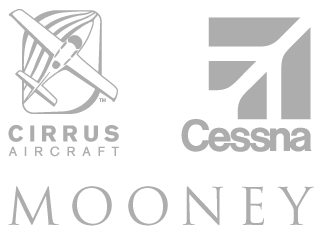 Below is a list of our vendors and other aviation-related companies, along with a link to their website and a short description of their business. ACK Technologies, Inc. was founded in 1972 and began manufacturing aircraft parts in January 1988. Since that time we have produced over 185,000 appliances under TSO C-88a, TSO C-91a, TSO C-126 and TSO C-142a. These appliances are in use worldwide. During this period our products have never been subject to any Airworthiness Directives or have had any safety related recalls or service bulletins issued. Founded in 1990, Advanced Data Research Florida, Inc. has been pioneering pen based computing applications and hardware solutions for many Fortune 500 companies. ADR Florida has provided automotive manufacturers with advanced product survey development and technology for more than fourteen years. ADR Florida introduced the first commercially based Electronic Flight Bag as a vehicle for the emerging digital applications in aviation charting and is still the leading provider of Electronic Flight Bags today. Started in 1999, Advanced Flight Systems is a classic entrepeneurial story. An electrical engineer with software expertise, founder/owner Rob Hickman began building his own engine monitor during construction of his RV-4. Other local builders expressed interest and the company was born. As new products are introduced AFS knows its success is built on customer support. 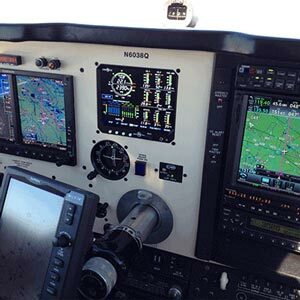 Through its growing installed base of engine monitors, AOA systems, and now EFIS displays, Advanced is proud of the solid reputation it has earned. Adventure Pilot is the creation of Walter Boyd and Bill Strahan. We each have more than 15 years of experience writing software for the business travel world, for everyone from American Express Travel to Southwest Airlines. Projects we've conceived and created are in daily use by travel agencies around the world and by business travelers creating reservations online. But now that our business travel focus is behind us we're bringing that same successful approach to technology to Adventure Pilot for the benefit of the private pilot. The corporate tools we created will be helping travelers get from point A to point B for years to come. AeroAntenna Technology, Inc. (AAT) is an innovative and AS 9100b certified company, which has pioneered many of the GPS antenna designs available today. Our team combines more than 50 years of antenna design, manufacturing, and business experience. The company’s mission is to provide our customers with consistent reliable and user friendly products that are produced efficiently and are delivered on time. AirGizmos is Mike Schipper, Max Probasco, Steve Ruzic, and Todd Agold. We're just four airplane fanatics with a dream to build way cool aviation products. AirGizmos™ was started after our random brainstorming sessions started turning into real products. 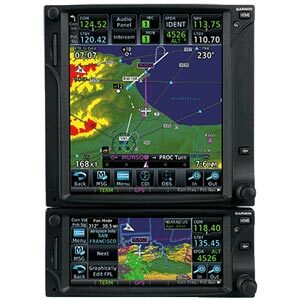 We started by making a mount for my portable GPS so it would look better in my RV-9A. We liked it so much, and got so much positive feedback that we decided we'd manufacture a bunch and make them available to other airplane nuts. Our goal is to continue turning our creative ideas into insanely cool products, and hopefully make enough money to buy more 100LL. Alpha Systems AOA is committed to creating products that support and identify safety in the aviation community. We are looking at new and intuitive ways to improve the pilots’ ability, to quickly identify the needle position of the mechanical AOA gauge displays. In 2010, Alpha Systems AOA designed an intuitive needle and faceplate combination which speeds up the recognition of the AOA readout, standardizing the mechanical AOA displays of our products. Ameri-King Corporation was founded in 1976 and began manufacturing aircraft parts in 1989. Since that time, we have produced over hundreds thousands appliances under TSO C-71a; TSO C-88a; TSO C-91a; TSO C-129a. These appliances are now in use worldwide. 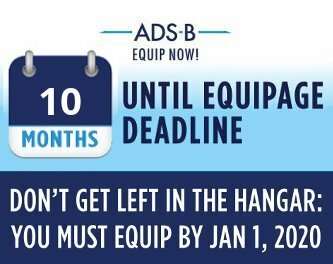 During this period, our products have never been subject to any Airworthiness Directives nor have had any safety related recalls or service bulletins issued. Artex Products designs and manufactures a wide array of Emergency Locator Transmitters (ELTs) for General, Business, Commercial and Military Aviation applications as well as battery packs and ELT accessories. The business of Artex is global and customers range from the individual private pilot to the world's largest airframe manufacturers, airlines and governments. AveoEngineering is a world-leading producer of high-technology electronics solutions and innovative LED lighting products for the aviation, marine and safety markets worldwide. With extensive facilities and engineering resources, AveoEngineering has also been tapped by numerous leading companies worldwide to provide custom-engineered solutions. 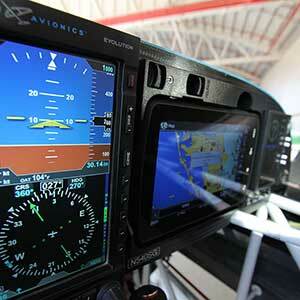 At Avionics Innovations, we strive for the highest quality products and finest service available in the market. It is our job to provide you with the best possible IFE solutions for your needs. We accomplish this through teamwork and integrating principles of quality design, manufacturing, and customer service. 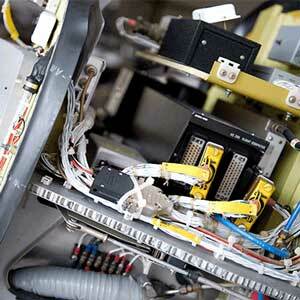 Today, Avionics Innovations produces a full line of audio entertainment devices certified for aircraft installation. The company prides itself on producing quality products backed up by exceptional customer service. Garmin is founded on the principles of innovation, convenience, performance, value, and service. Their innovative products span various areas of interest, including automotive, aviation, marine, fitness, outdoor recreation and wireless applications.